Compatible with: Motorola, Yaesu, Kenwood, Wouxun, Icom, Baofeng Two-way radio and so on. 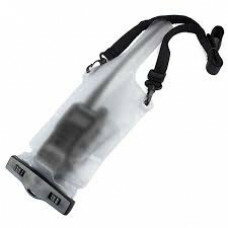 This product is designed to protect the transceiver from rain or mist.It is NOT designed to protect the radio from being immersed in water.The radio will be damaged if you submerge the transceiver and bag! Avoid prolonged exposure to direct sunlight and/or long transmissions.